Cherry Ghost are not a sweetly flavoured treat from the spirit world and are in fact, an indie rock band from Bolton, England. 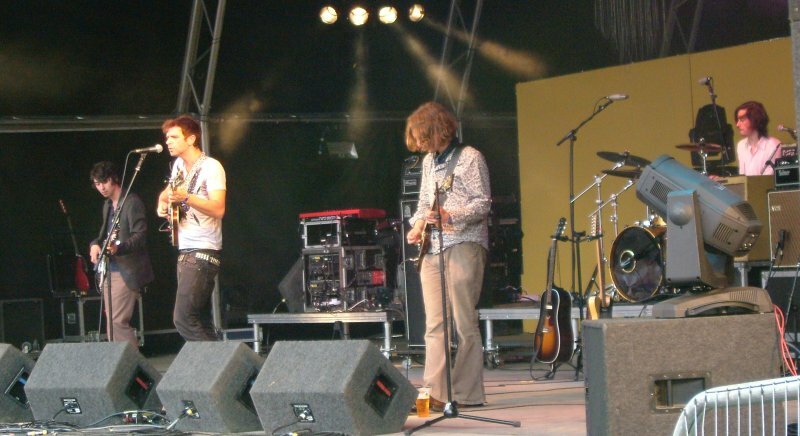 Their debut album, Thirst for Romance, was released in July 2007 and entered the UK Album Charts at #7. A second album, entitled Beneath This Burning Shoreline, was released in July 2010. Their drummer is also the proud owner of one of the best names in popular music. He is called Grenville Harrop.